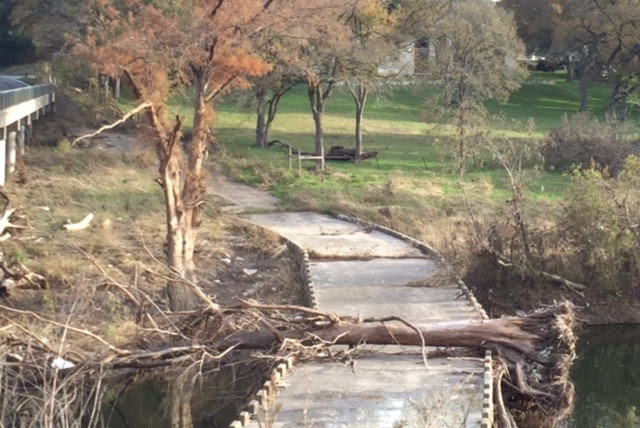 Flooding has been a significant part of our history in Central Texas. It remains true today. That scary truth has been demonstrated repeatedly — and tragically — in Central Texas of late. The dire need for better early warning systems became painfully clear in the wake of the Memorial Day flooding last May. Steve Schultz, who lost his daughter and two grandchildren to the Wimberley flood, delivered that message Monday. Mr. Schultz came to the Capitol to testify before the Texas Water Development Board about the best use of the $6.8 million that I secured for flood planning and preparedness. In the waning days of the legislative session, I worked with Governor Greg Abbott and Senate Finance Chairwoman Jane Nelson to free up this funding to help communities across Texas prepare for and respond to devastating floods. This investment is long overdue and I’m hopeful that it’s just the beginning of a renewed commitment on behalf of the state. During the Memorial Day flooding, Wimberley officials relied upon an “old-timer network” of folks living upstream to get information about the debris-laden 40-foot wall of water coming their way, Wimberley Mayor Steve Thurber said at Monday’s meeting. “It’s time for the guessing to end,” Thurber said. Bastrop County Judge Paul Pape said essentially the same thing in late October as Smithville was hit by flooding. The Lower Colorado River Authority responded to my call, together with Judge Pape, to upgrade the early warning systems by installing five new gauges downstream of Austin. The state has an opportunity to do the same for communities across Texas. I’m proud that my work during the session has created an opportunity for us. And I’m hopeful that we’ll save lives and property.